Just because you’re offering freebies to your affiliate site’s visitors doesn’t mean you should allow them to completely ignore your premium offers. If you let this happen, forget about earning an income from your affiliate site. There is no logic at all to giving away freebies if you have nothing to gain from it. When affiliate marketers and business owners offer free gifts to their site’s visitors, it is a carefully crafted strategy and not just some careless act of generosity. When you do offer freebies, you have to have something in return, if not now then at least later. Learn to harness the use of freebies for your affiliate site’s visitors carefully. It’s a proven strategy and can be a very valuable component of your affiliate marketing arsenal. 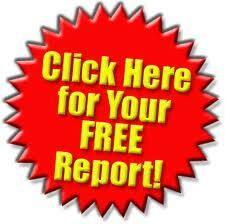 Next Next post: Are Your Free Reports Too Sales Pitchy? This is not the way to do it!